Join the GOLFINO Pre Sale Days from 23 to 28 June 2017. Be the first to benefit from these exclusive reductions of up to 50% off with your personal loyalty stickers and treat yourself to your favourite outfit. 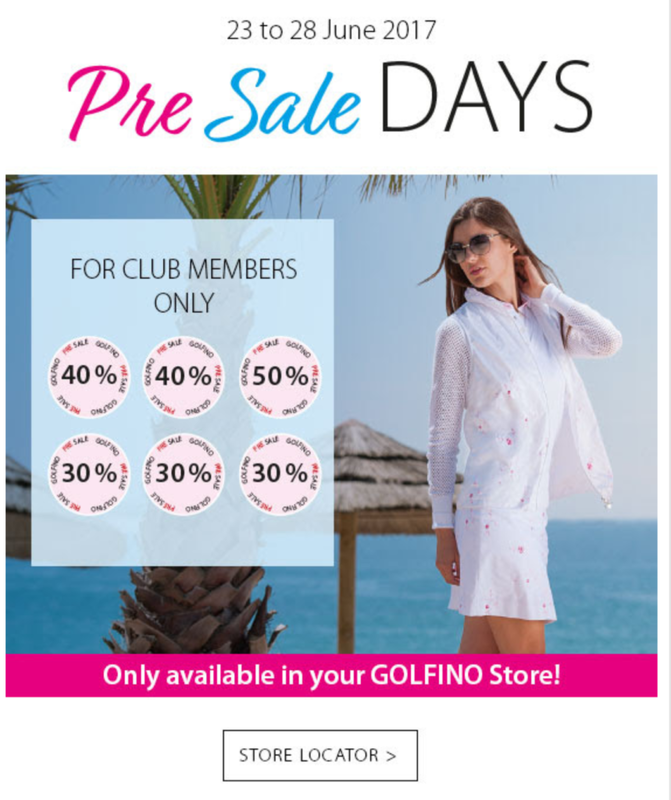 You receive the Pre Sale stickers with 3 x -30%, 2 x -40% and 1 x -50% to use in your GOLFINO Store. Stick them on the items of your choice and the reduction will be made at the cash desk.